From June 14-16, musicians specializing in good ol’ bluegrass, Americana, and roots will fill the forest with sweet music. 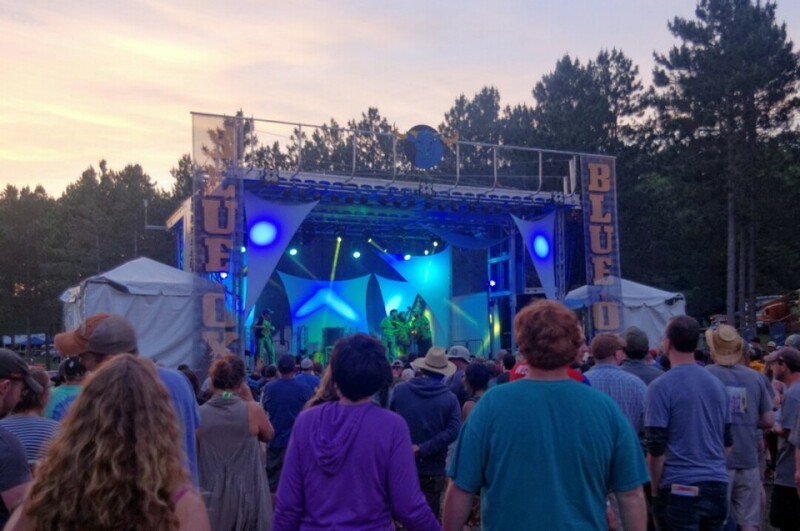 The Blue Ox Music Festival combines the traditional music festival experience with a bit of hometown Eau Claire charm, inviting attendees to enjoy the two simplest pleasures in life: music and nature. The lineup this year boasts 31 acts – including Sam Bush, Pert Near Sandstone, Greensky Bluegrass, The Devil Makes Three, and Steep Canyon Rangers – who will ignite the air with vocal and instrumental rhythms, stirring the soul with foot-tapping, hip-shaking medlies that even the staunchest festival scrooges will love. The festival will have two stages, the Main Stage and the Saloon Stage, which will keep patrons constantly surrounded by entertainment throughout event. Campsites will be available for festival-goers who want to reconnect with nature. For those who prefer a bed to a sleeping bag, shuttle services will run from multiple local hotels. Blue Ox is a family-friendly event: There are activities for kids and parents alike. Morning yoga classes will be held by instructor Katie Kuykendall and sound healer Mike McGuigan in the festival space starting at 8am on Friday and Saturday. An online giveaway is happening now to win a pair of Paul Bunyan passes for the weekend, providing the winners with exclusive privileges. The full schedule is available online. For more information, visit blueoxmusicfestival.com or call Whispering Pines Campground at (815) 602-4440.